All Participants except plenary and invited speakers need to register for the conference through the Abstract Submission / Registration system or on-site registration desk. Registration and payment are handled by KNT-CT Global Travel CO., LTd., the official conference assistant. The plenary and invited speakers do not need to make on-line registration, but are asked to create their own account on the system above for accurate information. The optional registration for tutorial and accompany person is available using an account through the system. ICSCRM2019 Registration Desk, KNT-CT Global Travel CO., LTd. (icscrm2019-regist@or.knt.co.jp). The regular registration fee includes admission to all technical sessions, program book, abstracts (provided USB memory), lunch, coffee break, a copy of the conference proceedings, and admissions to the welcome reception and the banquet. Student participants may be asked to submit a copy of student ID to the Registration desk for confirmation. A copy of the proceedings is not included in the student registration fee (but an access right to an electronic version (eBook) is included). Additional copies of the conference proceedings may be purchased. Your partner and/or family can attend to welcome reception and banquet with you by paying accompany person fee. All payments should be made in Japanese yen (JPY) by credit card (Master Card, VISA, American Express, and JCB) by September 8, 2019. No registration / reservation will be confirmed without completion of payment. Please use a credit card which is valid at least until Nov 2019. Drawer of this online payment transaction will be “Kinki Nippon Tourist Co / Kinkinituponturisuto”. However, the company name might be slightly changed depending on the card company. Credit card transactions might be recorded on your credit card statement about 10 days later due to system matter. You will not be able to make registration, edit your registration information, nor online payment after the online registration deadline (September 8, 2019). An email should be sent to ICSCRM2019 Registration Desk (icscrm2019-regist@or.knt.co.jp) for any changes or cancellation of registration after registration deadline. The date and time of the change and cancellation will be based on the working hours (Mon – Fri 9:30-17:30 [JST] except national holidays (Feb. 11, Mar. 21, Apr. 27–May 6, Jul 15, Aug 12, Sep 16 & 23). After working hours, cancellation will be made on the next day, which may incur charges. Refunds will be made during or after the conference upon with deducting credit card service charges and the cancellation penalties as follows. You are the author/co-author of an accepted paper or a member of the conference committee. * Please note that acceptance of the paper will be finalized at July 16, therefore, after that applicants may receive the assistance. You have completed online registration. If you wish to bring any accompanying persons and request the visa support for him/her with yours, he/she must be your legal spouse or children. Please note that your request will not be accepted if any of these requirements is not satisfied. For further inquiries, please send email to icscrm2019-regist@or.knt.co.jp. For visa application details, please contact your nearest Japanese diplomatic mission. The registration desk will be open from Sep 29 to Oct 04, 2019. All participants who have registered through the conference website are requested to stop by the desk to pick up your name holder and conference kit. Open hours will be announced later. * The date and time of the cancellation and changes will be based on the working hours. We are committed to protect the personal data of the applicants. Without an applicant’s consent, we will not use such data for the purposes other than operating and managing the Conference, responding to inquiries and providing data on the Conference and other related conferences to the applicants. 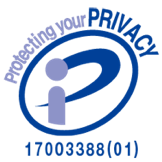 The detailed information about processing of personal data is as follows. Available: Mon – Fri 9:30-17:30 [JST] except national holidays (Jan.14, Feb. 11, Mar. 21 and Apr. 27 – May 6).